Infinite Dungeon Corridor | Nerd Much? We’ve seen infinity mirrors before, and sure, they’re cool. But, we have to applaud this attempt to make them even cooler by giving the classic idea a nerdy spin: dungeons. This Infinite Dungeon Corridor seems to stretch into infinity when you look into it, mesmerizing you for hours. Yes, hours. You’ll literally stare at it in wonderment. As you travel through the woods and happen upon ruins, you come across this dungeon corridor set into the side of a mountain nearby. Do you travel inward, summoning all of your courage to propel you forward? Or do you cower at the thought of traversing into the unknown alone? You’ll ponder that choice as you sit at stare at it all day. It can be hung on the wall or it can be used as a cool desk toy. 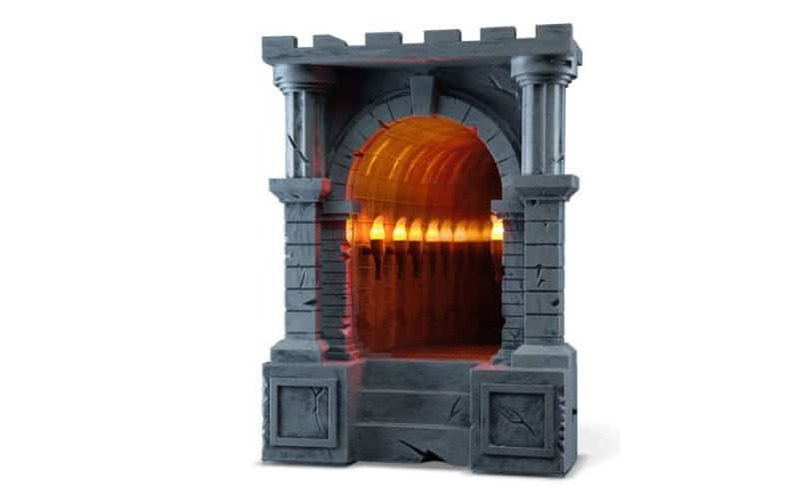 It makes the perfect cool gift for fantasy-game lovers or Dungeons & Dragons players. For more ridiculously cool stuff you probably shouldn’t buy but will anyway because you don’t care about paying your rent, stay tuned to Nerd Much.